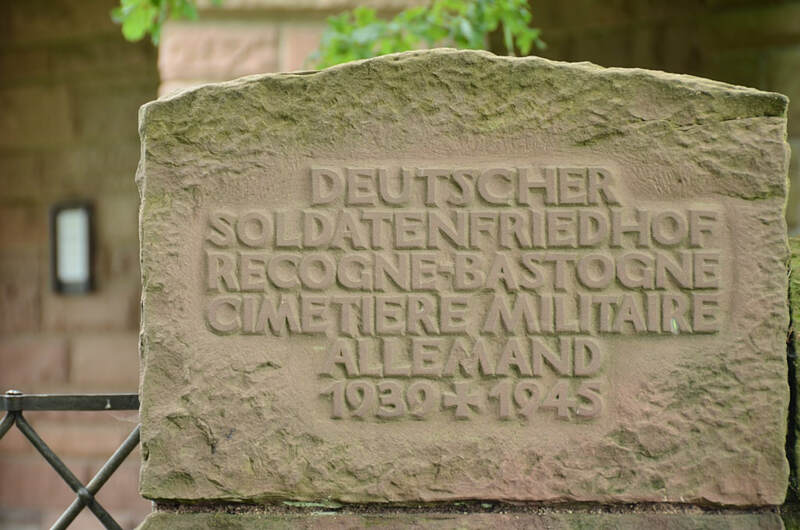 In the last winter of the Second World War, the Germans launched the Ardennes Offensive. 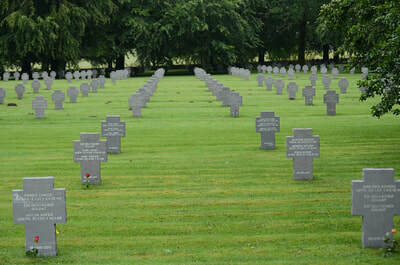 They surrounded Bastogne but were unable to take the city. After heavy fighting, the Americans reconquered the area in January 1945. 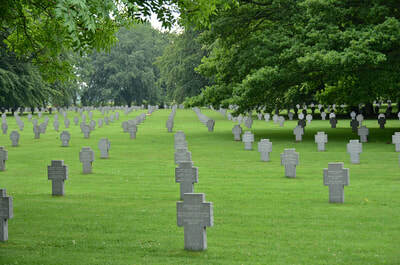 In February 1945, they established a cemetery in Recogne, where some 2,700 Americans and 3,000 Germans were buried. 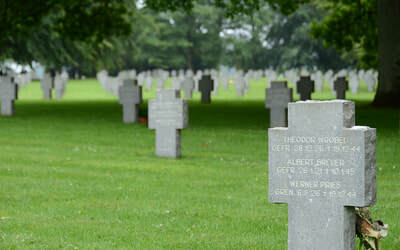 After the war in 1945-1946, the remains of the fallen American soldiers were transferred to Henri-Chapelle American Cemetery and Memorial. In the meantime, the Belgian authorities started clearing all German cemeteries in the area, and transferred all German graves either to Recogne or to Lommel German war cemetery. 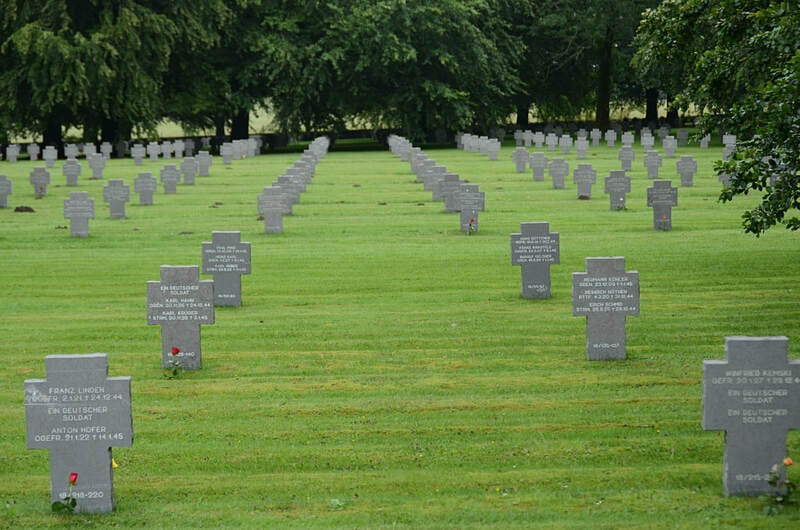 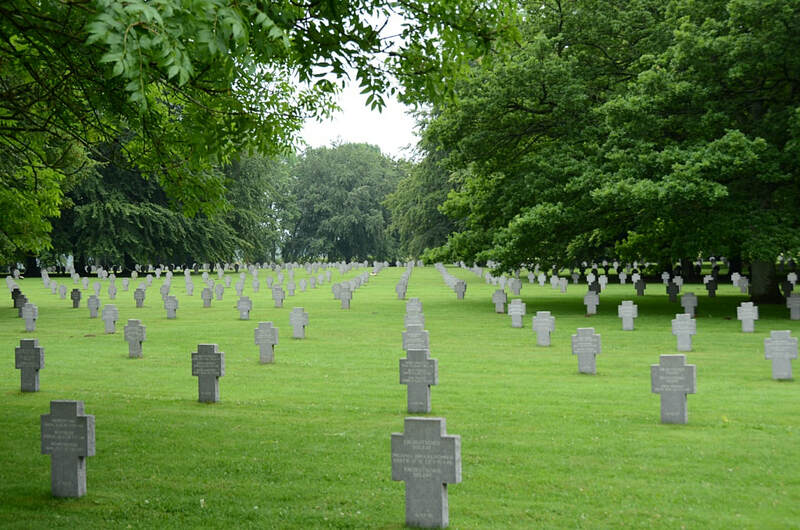 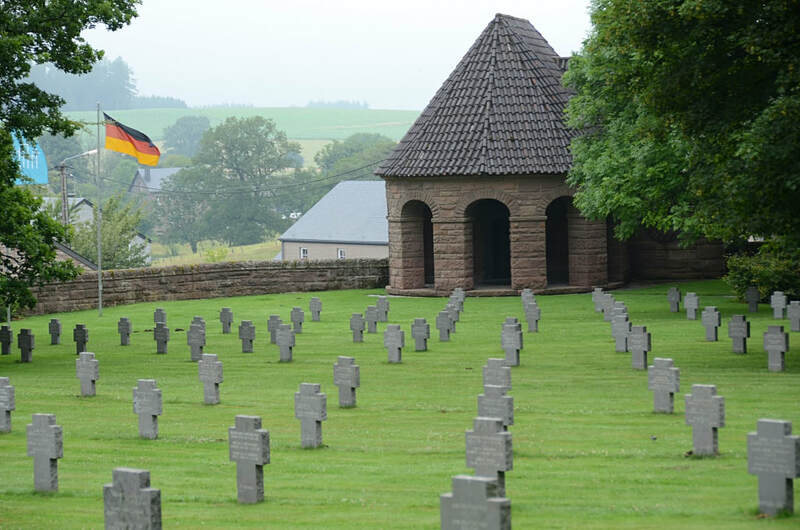 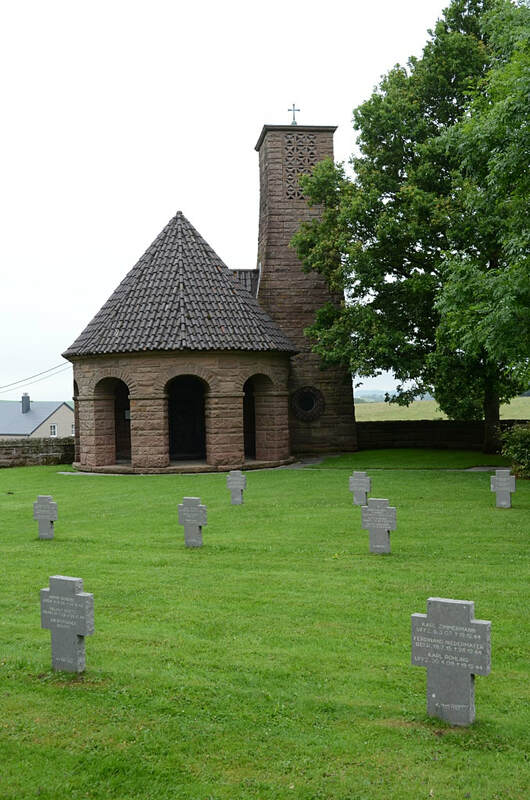 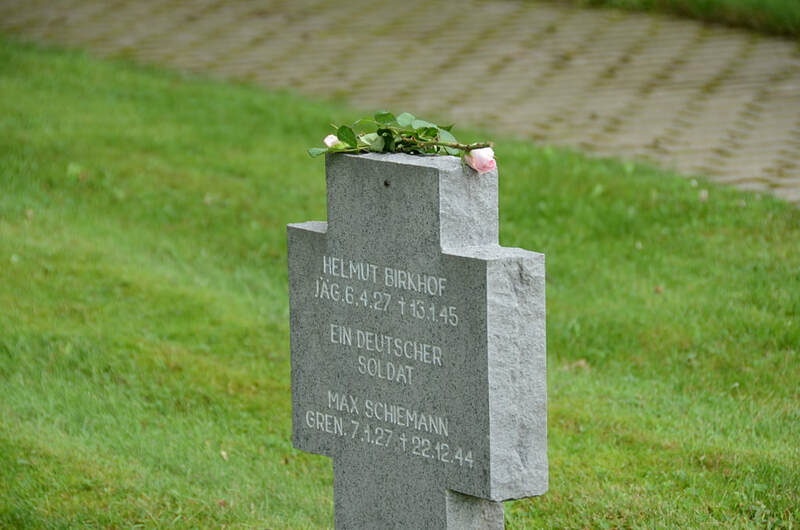 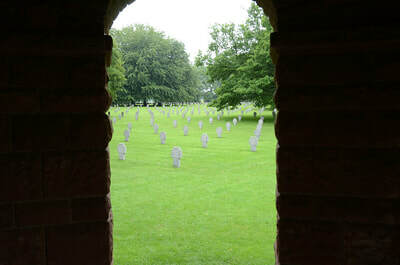 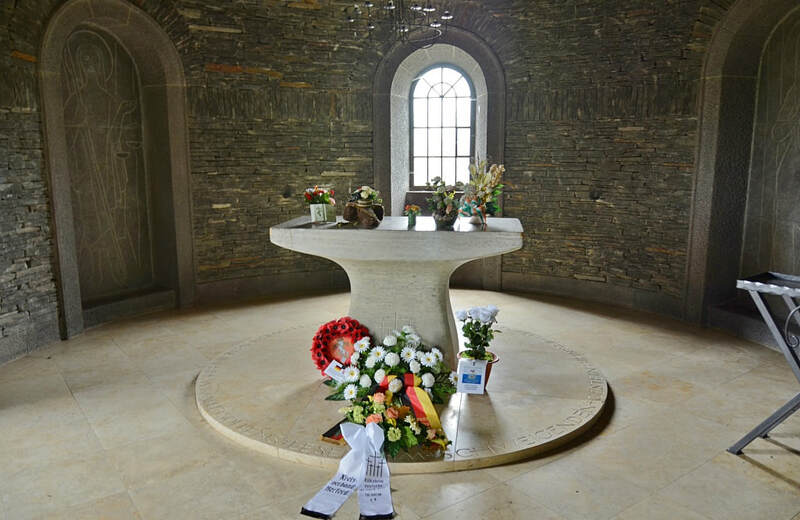 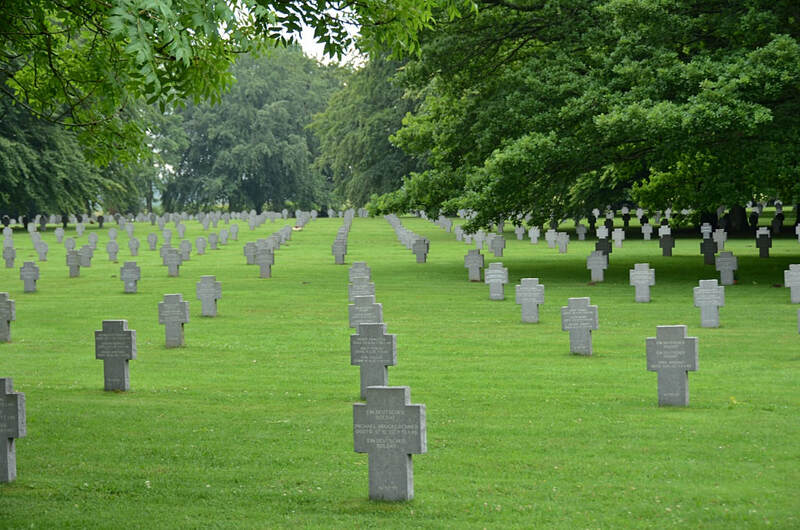 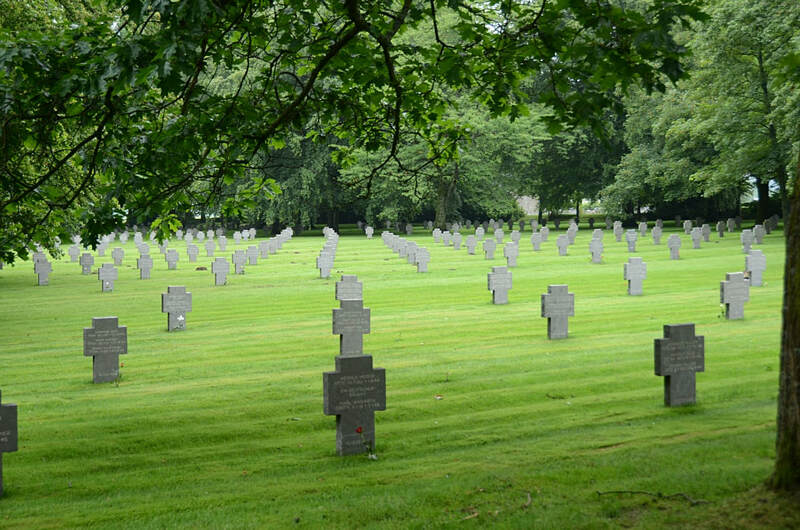 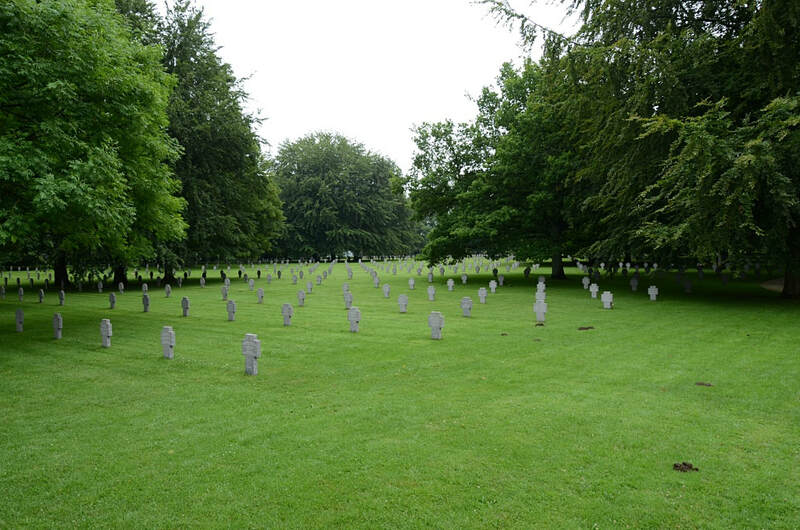 Therefore, the cemetery also contains graves of Germans killed in 1940 or during the occupation. In the 1950s the cemetery was transferred to the German War Graves Commission.